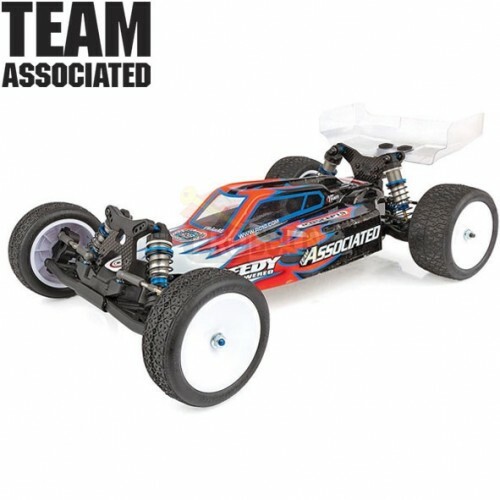 Enter the RC10B6.1 Factory Lite. Shedding over 45 grams of weight from the original B6.1D, the Factory Lite was designed to excel in classes requiring Spec motors, allowing the racer to take full advantage of the performance offered by the reduced weight. The Factory Lite sheds 30 of the 45 grams in rotational mass alone. Please Note: This kit requires the following for completion: 540-size motor, electronic speed control, 7.4V LiPo or 6.6V LiFe battery (shorty pack, saddle pack, or square pack) Saddle Pack and Square can be used, but you must remove the battery strap #91731 -- the battery must be held in with 2 sided tape, Battery charger, 2-channel surface transmitter, and its batteries, 2-channel receiver, Steering servo, Pinion gear (48 pitch), Spray paint for polycarbonate body and wing, wheels, tyres, & glue for tyres and wheels.